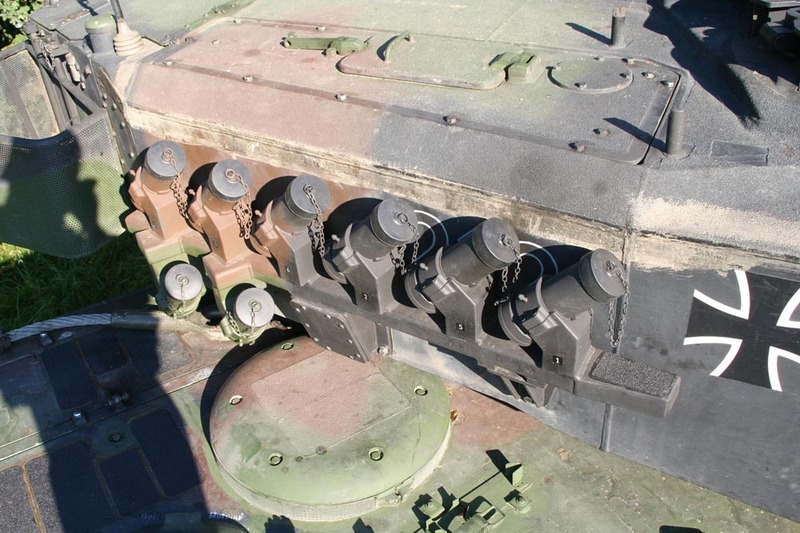 One of the main recognition features of the Leopard 2A6 MBT is the Mehrzweckwurfanlage or MZWA for short. 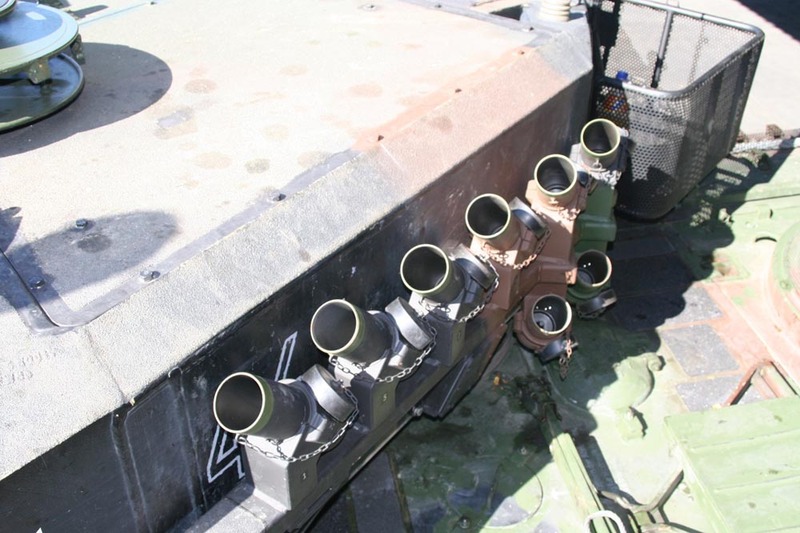 Literally translated Multipurpose Grenade Launcher, the MZWA replaces the banks of smoke grenade launchers on the turret sides. 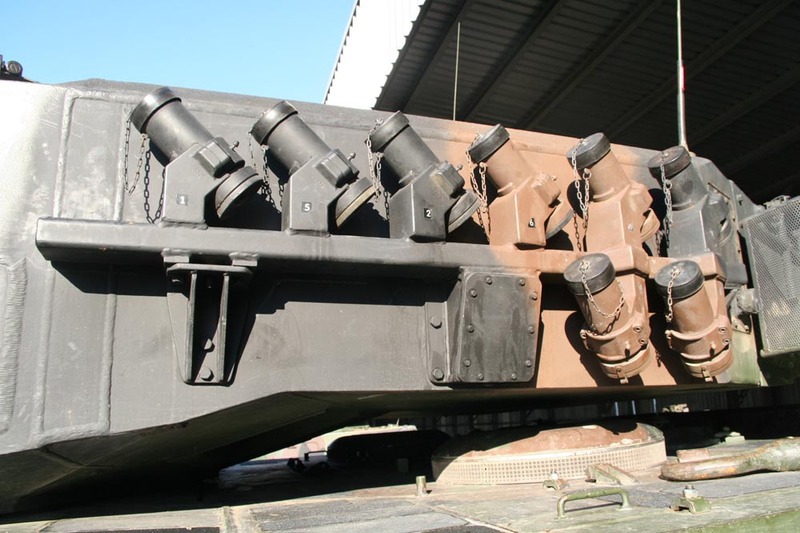 The MZWA consists of a single rail with six launchers on top and two launchers below. The MZWA can fire not only smoke grenades, but also other types of munition e.g. tear gas and high-explosive anti-personnel grenades. The launch tubes can be fired individually. 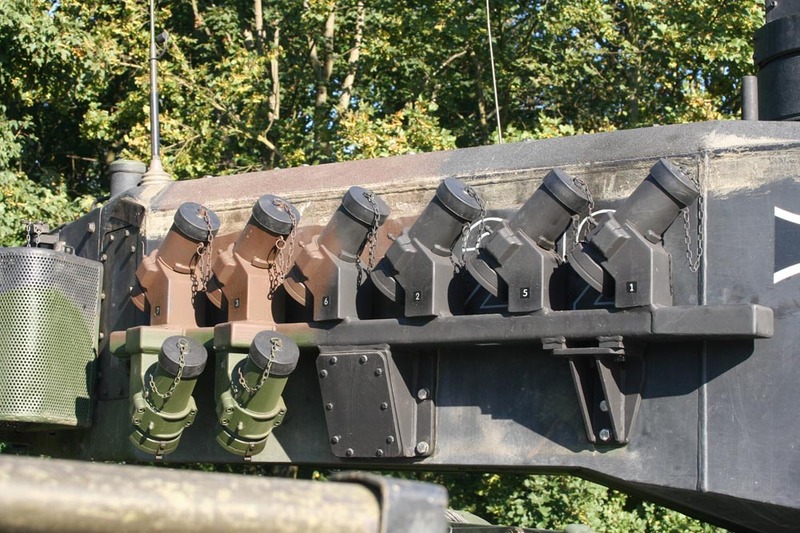 Therefore, the commander has a control box on the right turret wall. Currently, the MZWA is available from three companies. Revell has them included in their Leopard 2A6M kit. 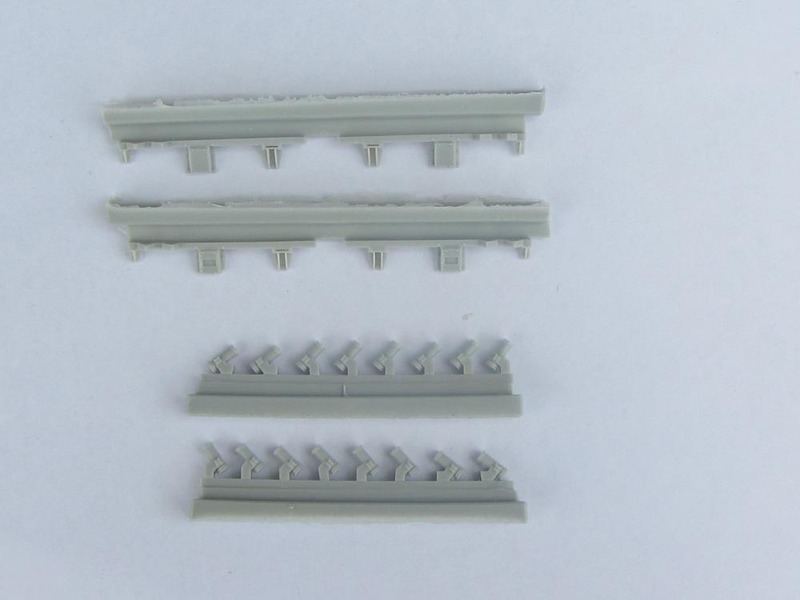 Two aftermarket sets are available from Perfect Scale Modellbau and MR Modellbau. 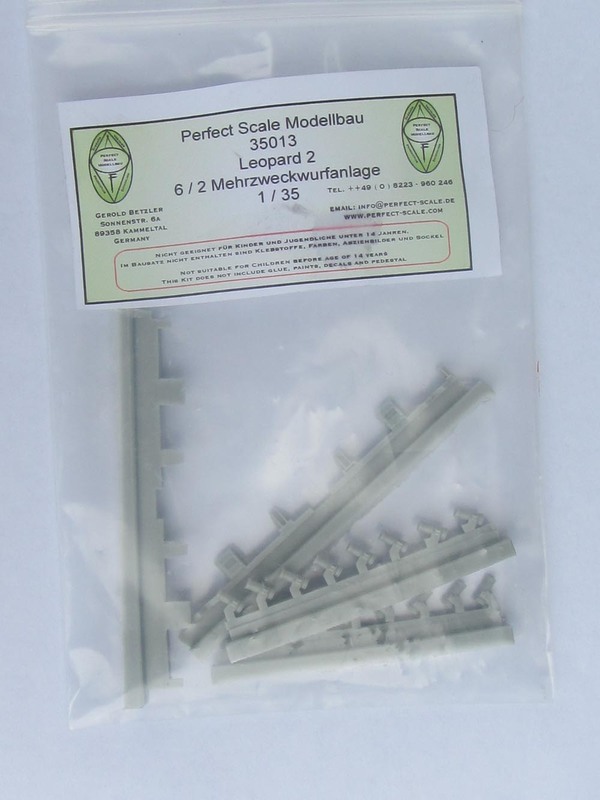 The set from Perfect Scale Modellbau comes in a zip-loc bag and contains two casting blocks with eight launch tubes each, two blocks with different sets of launch rails, and an instruction sheet. 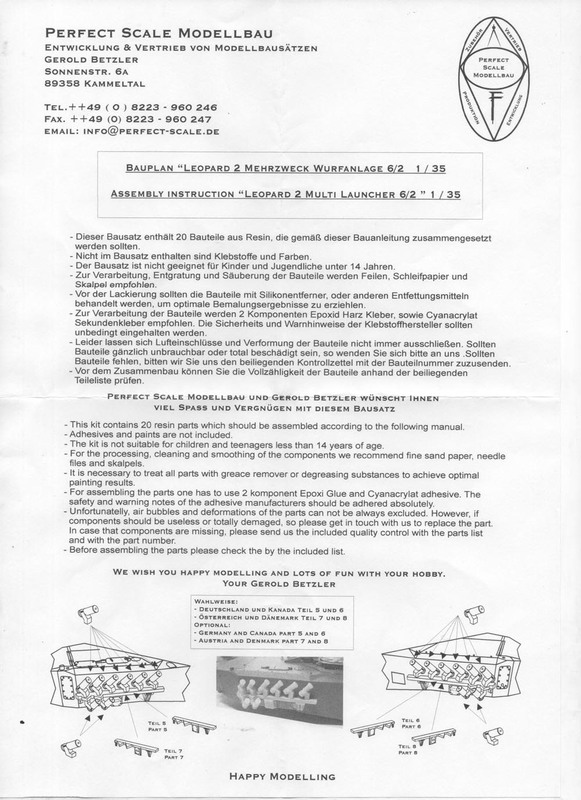 The instruction sheet states that the launch rail parts 5 and 6 are for German and Canadian vehicles, and parts 7 and 8 are for Danish and Austrian vehicles. For assembly, just remove the launcher parts from the casting block and glue them to the rails. Here comes a little tweak. The launchers are not aligned in one direction but angle outward the further back they go towards the rear, particularly the ones under the rail. Only the first two point straight forward. Here are some photos to show the correct alignment of the tubes. I would have personally wished that Perfect Scale had included notes on the angles and to tell us how much distance there is between the tubes. No photo-etch chains are included. 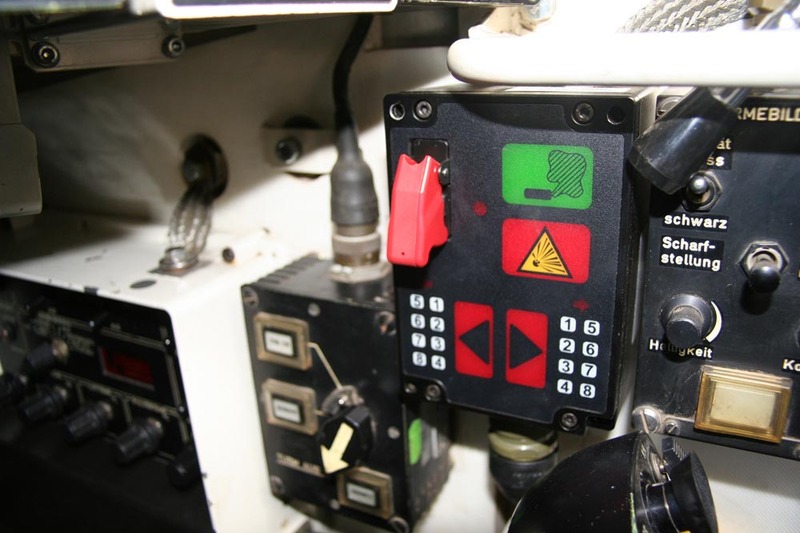 It is a simple set to update existing Leopard 2 kits to the latest standard.